Dell’Arte has toured widely, receiving Critics Circle awards in San Francisco, Los Angeles and San Diego, and has been the official US theatre representative at international festivals including the Venice Biennale (Italy), the Arhus Festival (Denmark), The Festival of Five Continents (Venezuela), The VIth International Festival (Uruguay), the Curitiba Festival (Brazil), the Santa Marta Festival (Colombia); in North America at EXPO ’86 (Vancouver, BC) the Lincoln Center Festival, the Philadelphia International Movement Theatre Festival, the San Francisco New Vaudeville Festival, the TCG National Conference, and many more. Dell’Arte has a history of collaborations with other theatres– with the San Diego Repertory Theatre on two large-scale projects: Peter Barnes’ Red Noses in 1988 and Steve Friedman’s Animal Nation in 1990. Artistic Directors Fields, Forrest, and Schirle staged a new production of Tartuffe in collaboration with Artistic Director Gregory Boyd at the Tony Award-winning Alley Theatre in 1994. In 2006 the Dell’Arte Company co-produced The Liar, adapted from Ibsen’s Peer Gynt, with the Jomfru-Ane Theatre of Aalborg Denmark. 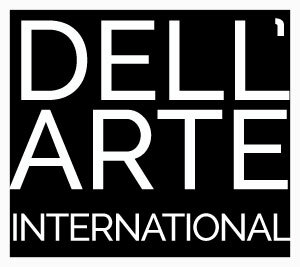 The Dell’Arte Company has performed all over the world at festivals, universities, community centers and more….. In addition to Company tours, Dell’Arte student productions have travelled annually to many communities on the North Coast of California, from Point Arena to Petrolia, from Weaverville to Garberville, Siskyou to Somes Bar, Orick to Orleans. (outdoors till 1981; remounted for indoor performances; toured in 1991 as part of the trilogy “Redwood Curtain, the Scar Tissue Mysteries). Remounted for the Mad River Festival 2009. Tour 1980-1982: California; remount for EXPO ’86 world’s fair, Vancouver, B.C. Won 1988 Year’s Best Production Award from San Diego Critics Circle. Toured 1989 – 1995 Arhus Festival, Denmark, 1989; Festival of Five Continents, Venezuela 1994; San Diego Repertory Theatre; California, Oregon; VIth Critics Festival, Montevideo, Uruguay 1995. Cast: Donald Forrest, Joan Schirle, Bernard Baldan and others. Tour: 1997 – 1998 Festival of Five Continents, Venezuela; Arhus Festival 1998, Noorderzon Festival, Holland; Carmel Festival, California. Cast: Michael Fields, Donald Forrest, Joan Schirle, Emilia My Sumelius, Daniel Stein, Dee King, Joani Rose, Anna Svensson, Sara Katzoff, and others. Musicians: Marla Joy, Tim Gray, and a cellist. Cast: Stephen Buescher, Tim Cunningham, Michael Fields, Keight Gleason, Joan Schirle, Matthew Graham Smith, Emilia My Sumelius. Cast: Richard Lloyd Cambier, Dawn Falato, David Ferney, Michael Fields, Donald Forrest, Nancy Jacobs, Oliver Steck, Lina Wiksten, Greg Wold. Musicians: Tim Gray, Joyce Hough, Fred Neighbor, Tim Randles, Oliver Steck. Cast: Sharon Bayle, Tim Cunningham; Dimiter Marinov, Keight Gleason, Matthew Graham Smith, Joan Schirle, Michael Fields. Cast: Adriana Chavez, Erin Crites, Julie Douglas, Brian Kuwabara, Eunjin Lee, Gabriel McKinney, Elizabeth Colon-Nelson, Nicholette Routhier, Genessee Spridco, Emily Windler. Cast: Michael Fields, David Belton Powell, Emily Windler, Joe Krienke, Emilia My Sumelius, Zuzka Sabata, Elizabeth Colon Nelson, Tyler Olsen, Lynnie Horrigan, James Peck. Original Lyrics & Music by Tim Gray, Eldin Green, Joyce Hough, Tim Randles, Scott Menzies, Lila Nelson, Joani Rose, Zuzka Sabata, and Joan Schirle. Cast: Meridith Ann Baldwin, Joyce Hough, Janessa Johnsrude, Pratik Motwani, Ryan Musil, David Belton Powell, Zuzka Sabata, and Joan Schirle as Mary Jane. Premiered at the Mad River Festival; Toured to UC Berkeley, Point Arena Theatre, Cave Junction, OR, the Eureka Theatre, Humboldt State University. Cast: Michael Fields, Joan Schirle, James Peck, Anthony Arnista, Zuzka Sabata, Emily Newton, Andrew Eldredge. Cast: Joan Schirle as Mary Jane, with Meridith Ann Baldwin, Janessa Johnsrude, Pratik Motwani, Ryan Musil, David Belton Powell, Zuzka Sabata, and Leira Satlof.